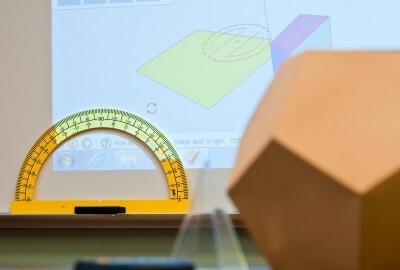 Once an office staple, PowerPoint has gained new respect in the classroom. More instructors are incorporating it into their lesson plans because lectures can quickly be updated and additional multi-media features like video, images and audio can easily be added. Students are much more sophisticated than in the past due to rapidly changing technology. No longer are they satisfied to learn by rote. They want and expect to be challenged and engaged, therefore, when teaching with PowerPoint, it is paramount that PowerPoint lesson plans be carefully thought out. Getting students interested in a lecture from the opening sentence can easily be achieved using a PowerPoint presentation. Including highlights of the lecture at the beginning gives students a visual aid as to what they will be learning. Building off that by asking open ended questions allow students’ prior knowledge to be gauged and lesson plans adjusted. The body of the lecture should be broken down into short 10-15 minute segments. Often instructors get so wrapped up in what they are teaching that they forget this important tip. Remember to design a PowerPoint presentation to include active learning strategies so everyone can take a break and redirect their focus. When teaching with PowerPoint, the conclusion is just as important as the beginning. Determine how effective the lecture was by including a slide requesting students write down what they felt was unclear or hard to understand. For additional information on adding PowerPoint in your classroom, please contact Labyrinth Learning today.